This series of photographs shows the steps in installing HippoTile in a new build American Barn. The flooring is laid in strips, secured between the outside walls and the concrete walkway. 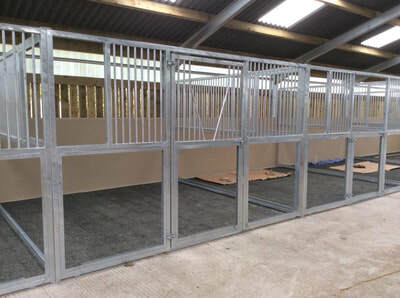 The partitions are fitted over the top, secured front and back. 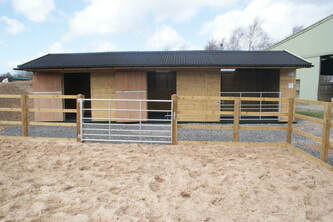 The completed stables are warm, dry and very comfortable. 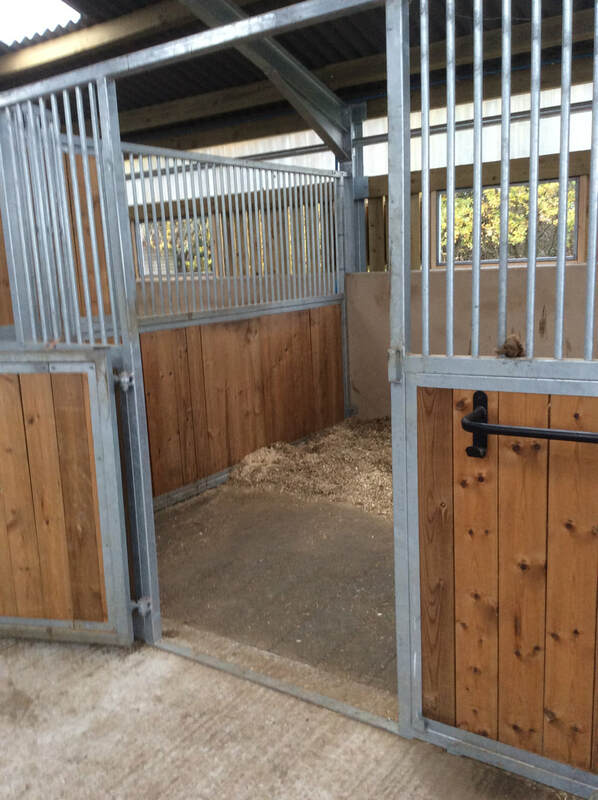 Much less bedding is being used/thrown away and the horses are seen to be lying down more. 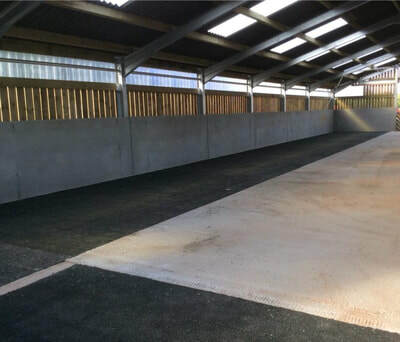 The drainage beneath the HippoTiles takes the wet into a septic tank. 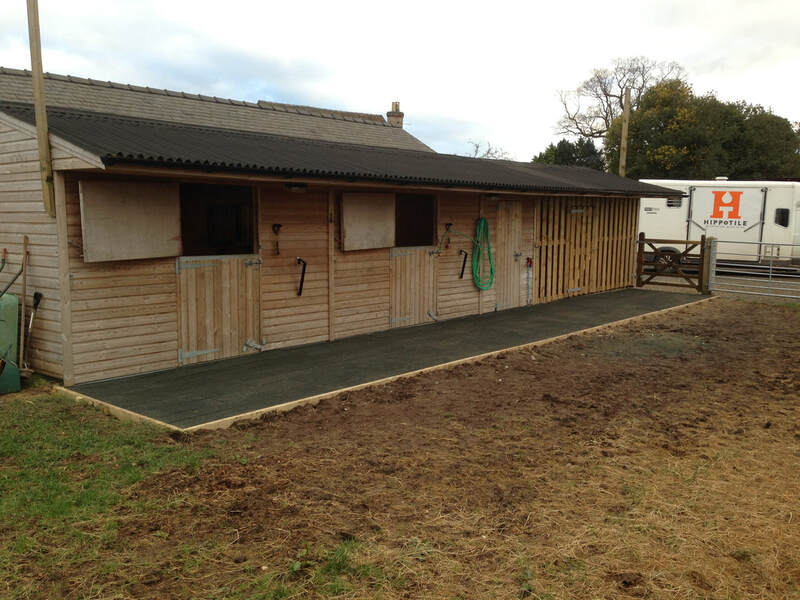 We also have many examples of HippoTile making tremendous flooring in wooden built stables, both mobile and static. 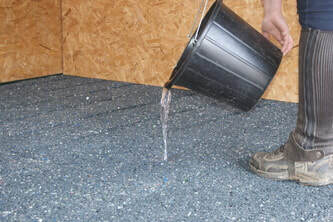 Here the drainage is usually into the ground below. 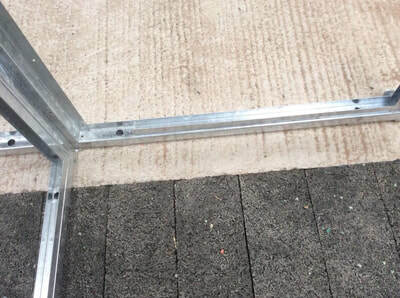 In some cases, where the soil is clay, drainage channels are formed.